Ballroom in Boston strives to offer affordable options for all levels of dancers. Start out with private one-on-one lessons for as little as $49. Or, if you prefer to start off in a group class environment, a drop-in group class is just $25. 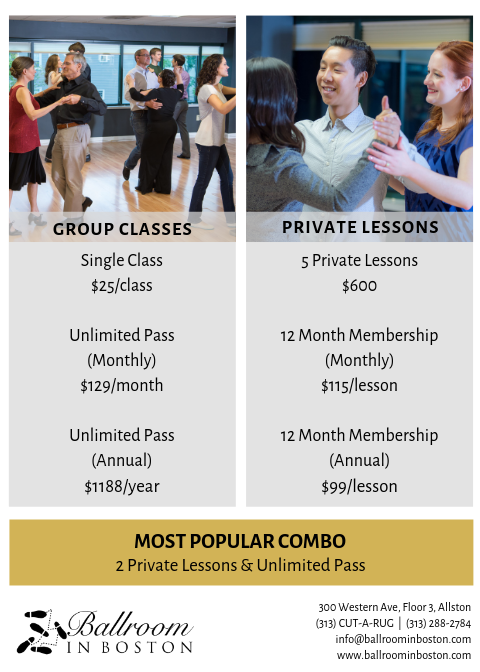 Check out our membership and private lesson prices for more information. Become a Ballroom in Boston member and receive these benefits and much more!